We are the Hattori Foundation, a UK registered charity. 1901 Arts Club is a licensed event space we operate as part of our charitable activities. It is also the name of the building from which we operate. For the purposes of the GDPR, we will be the “Data Controller” of all personal data we hold about you. When you purchase a ticket, or add your name to our mailing list directly. Whether in person, or over the telephone, when you reserve tickets we will collect and store information about you. When we collect information as you use our website or applications. Our website, like most others, uses “cookies” to make it more usable. A cookie is a small text file containing information about how you arrived at a website, the pages you may have visited or information about your device. We use them to help design our website to make sure you find easily the information you are looking for. The emails we send out may also use tracking pixel to record if the email is opened and links followed. Social media - according to your settings for social networks and messaging services like Facebook, Instagram or Twitter, you might give us permission to access some of your information from those services. When you apply for a Hattori Foundation award. The information you supply is required to determine your identity and eligibility for the award applied for and may in the case of a successful application include bank account details to enable the payment the award granted. If you purchase a ticket to attend a concert or add your details to our mailing list we will usually collect name, address, telephone number and email address. 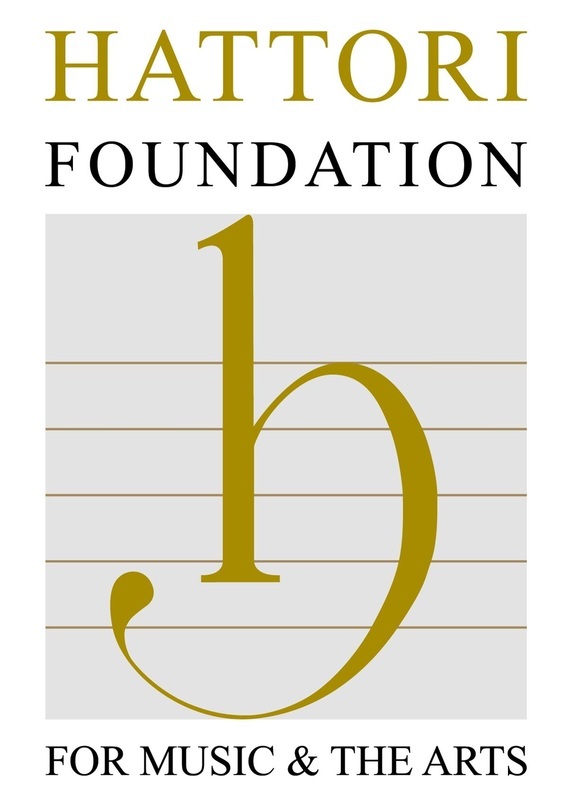 ​The information you supply when applying for a Hattori Foundation Award will also include your date of birth, nationality, qualifications and personal references. These details are required to determine your identity and eligibility for the award applied for. In the case of a successful application we would also collect your bank account details to enable the payment of the award granted. Information about how you can manage the ways that we contact you, including how to opt out from some or all contact from us, is outlined in the “Your rights” section below. ​We take every precaution to protect your information. To this end all personal information stored by us is kept on a server in a secure environment (off-site). We carry out a periodic information audit, which helps us to maintain controls on the personal information we store. We track the source of the information, our legal basis for processing it and the controls that are in place to ensure its accuracy, accessibility, security and timely removal. We use reputable software platforms for our communications. ​​Who else has access to the information you provide us? Employees of Hattori Foundation/1901 Arts Club with a valid necessity to access/process your personal data. Our selected Data Processors like Ticketsource (online box office), and Mailchimp (email newsletter platform) who need the information to perform a specific function are granted access to personally identifiable information. Ticketsource may share your personal data with processing partners such as Merchant Service Providers or Email/Text Service Providers who are contracted to assist Ticketsource with the booking of your tickets. As we are responsible for our Data Processor Ticketsource, Ticketsource is responsible under GDPR to ensure that any sub-processor they contract is fully compliant with GDPR law and will act to ensure the safety of your personal data. In some cases, such as online purchases, you will provide debit or credit card details to our Data Processor (Ticketsource) and we as Data Controller will never have access to that information. If you choose to interact with one of our pages on a social network, such as Facebook or Twitter, that interaction may result in personal data being shared with us by the social network operating under its own legal contract with yourself. In order to perform some of our day to day operations, personal data is sometimes securely transferred to and subsequently processed by external companies. Where external companies process your personal data (for example email addresses, to send out emails on our behalf), we ensure that proper controls are in place regarding how those companies manage the personal data they collect or have access to. If one of these companies runs their operations outside the European Economic Area (EEA), although they may not be subject to same data protection laws as a company based in the UK, we take steps to make sure they provide an adequate level of protection in accordance with UK data protection law by requesting and checking their data policies and associated documents and checking for an adequacy decision between the EEA and that company’s country of origin. By submitting your personal information to us you agree to this transfer, storing or processing at a location outside the EEA. For example, our marketing emails are dispatched by a company in the US. That company has provided documentation to prove that they are compliant with the data protection framework built to cover data sharing between the EU and the US (called the EU-US Privacy Shield). An adequacy decision is in place for the EU-US Privacy Shield, so that company is recognised by the European Commission as providing adequate protection for your data. ​We may need to pass your details, if required, to the police, regulatory bodies or legal advisors. ​​We appreciate your help in keeping us informed of changes to your contact details. ​We will hold your personal data on our systems for no longer than reasonably necessary to carry out the activities for which you gave us the personal data, or until you choose to unsubscribe or until we no longer have a legal basis for holding your personal data. Ticketsource will delete your personal data after one year. You have the right to request a copy of the information that we hold about you. If you would like a copy of some or all of your personal data held by us, please contact the Data Controller using the contact details listed below. We will provide this information within one month or let you know if there is a reason why that deadline cannot be met. If there are any discrepancies in the information we provide, please let us know and we will correct them. For further information see the Information Commissioner’s guidance. If you want to access your information, send a description of the information you want to see and proof of your identity by post to Hattori Foundation, 1901 Arts Club. We do not accept these requests by email and we may contact you directly for confirmation of the request before providing any information. This extra confirmation is in place to safeguard against identity fraud. ​If you are unhappy with the way in which your personal data has been collected, stored or processed you may in the first instance contact the Data Controller using the contact details above. If you remain dissatisfied, then you have the right to apply directly to the Information Commissioner for a decision. The Information Commissioner can be contacted by telephone on 0303 123 1113 or via their online notification system at www.ico.org.uk/concerns.